Ancient Romans believed that no matter how many empires would rise and collapse, the eternal city would live on forever. 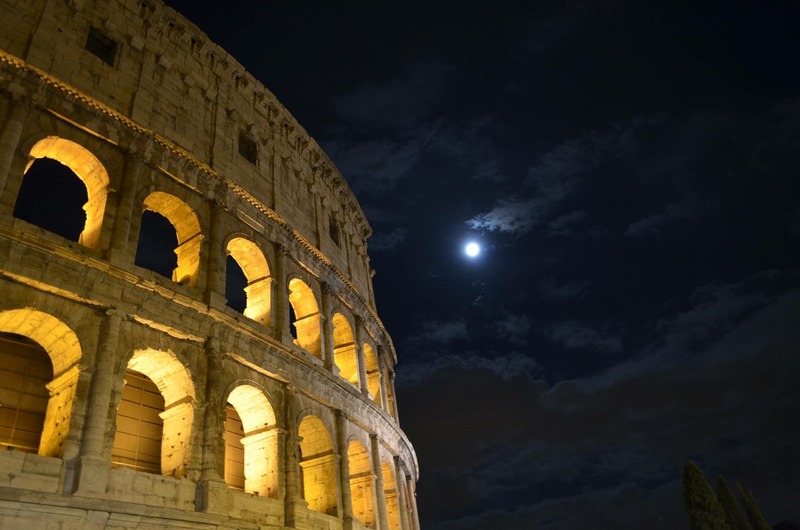 The capital of Italy is one of the most vibrant destinations for tourists all over the world. 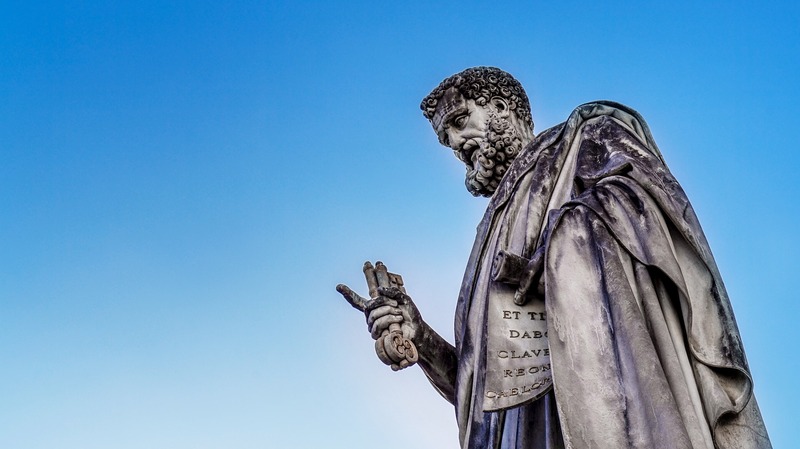 Without a doubt, there’s no need to worry about what to do in Rome. I’m proud of myself this time for actually saving money with public transportation. Instead of burning 70 Euros on an Uber to find my way to my Aunt’s apartment, I took the extra time to figure out the buses and subway systems. 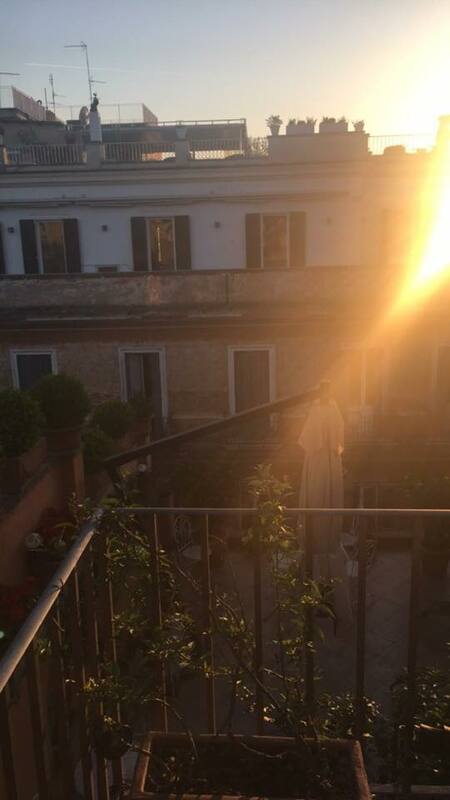 This trip to Rome was also a wake-up call to me. The past few months abroad has drained my bank account. The savings I worked up for during the past two years are almost gone. Now it’s time to start planning ahead for the upcoming summer. Teaching English abroad is a viable option I can take, and I’ll be able to explore more parts of the rest of Europe. I’m in a new country yet again. As my flight comes to an end, I ask around for the best way to reach the center of Rome. There’s no limit for what to do in Rome. Termini Station it is! The bus over to the center of the city played an interesting mix of Linkin Park. It was all of their well-known songs to make the American tourists feel at home. This is incredible. We’re two cousins who’ve grown up with each other since we were both 5 or 6 years old. Now we’re chilling in Italy. I hugged my Aunt, Uncle, and Grandma inside the apartment. It was a great feeling to see family again while I’m abroad in Europe. It was almost 1 am, but we decided to walk around and check out the Trevi Fountain, The Pantheon, and the nearby Spanish Steps. The Trevi Fountain stood out to me, we were there late at night but it surprisingly wasn’t crowded with people. There’s no limit for what to do in Rome, and everyone was likely out. The water cascaded into the fountain. Each drop from the source assured us we were all safe in Rome ready to enjoy our time with each other. 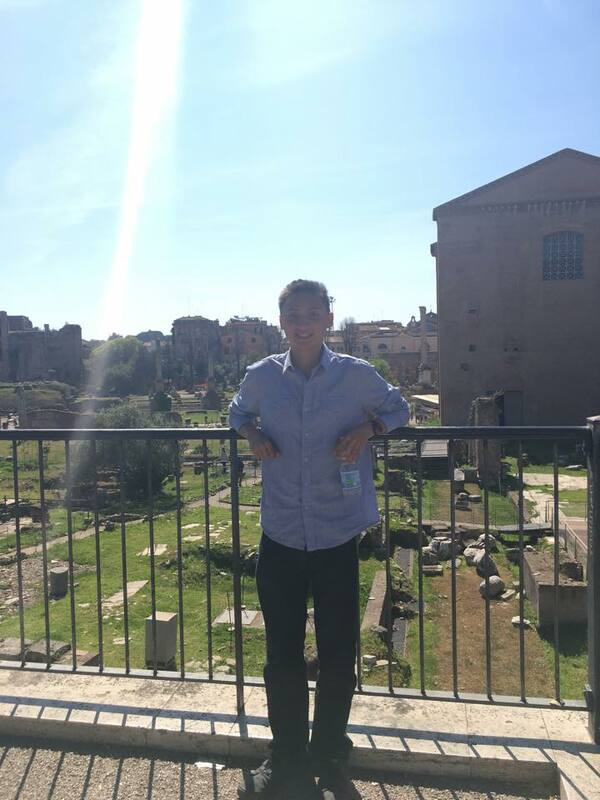 I believe the tradition in Rome is for people to throw a coin with their right hand over their left shoulder. 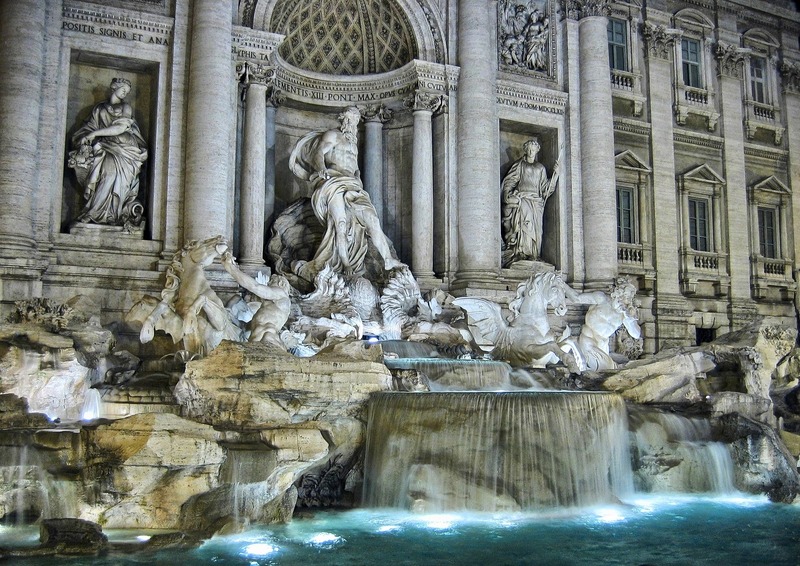 Those who throw the coin into the fountain will return to Rome once more throughout their lifetime. The next morning we headed off to meet with friends of our Aunt and Uncle for brunch. Along the way, we stopped by the Spanish Steps of Rome. 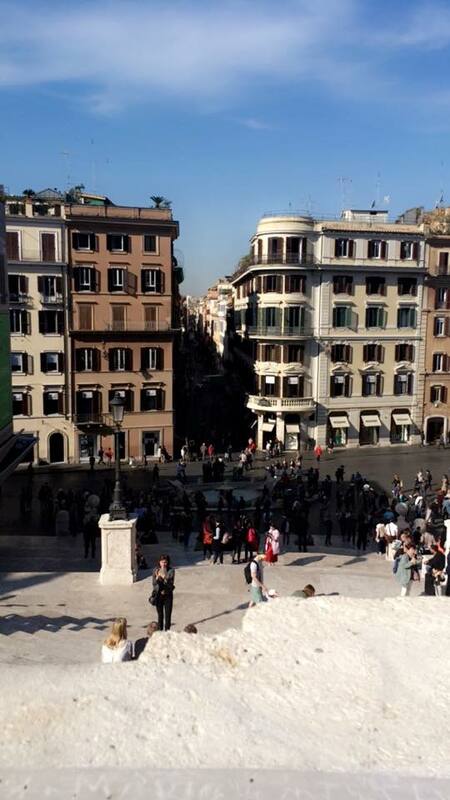 The Spanish Steps were a famous meeting place for talented artists, models, and rich Italians when it was first built. It was the focal point for the people, and you can find all sorts of things for what to do in Rome here. Now this place is overcrowded with tourists taking selfies. At the bottom of the stairway is an interesting boat-shaped fountain. The Fontana Della Barcaccia is a Baroque fountain pouring out fresh streams of drinkable water. At night when we wandered around the streets, the Spanish Steps were empty. Now the silence was far gone. This place was crowded with people NYC style. Our Aunt and Uncle’s friends toured us around the city after brunch to Palatine Hill and the Roman ruins. Near Palatine Hill, there was a group of musicians playing the guitar next to countless tourists taking pictures. I imagined what the ruins must’ve been like during Rome’s prime. The Eternal City was now deserted, but the ruins we saw easily could’ve been something similar to a shopping center in New York or Los Angeles. The line to visit the Roman Coliseum I saw on the bus ride over here was ridiculously long. Brianna and I stayed to check out the inspiration for modern NFL football stadiums today. It’s crazy to notice the similarities between the sports arenas, regardless of the fact that both were built centuries apart. Inside the Colosseum, we saw the maze where competitors would fight to the death against wild animals. Imagine the savage crowd in the Colosseum cheering for violent action while a poor soul runs for his life. 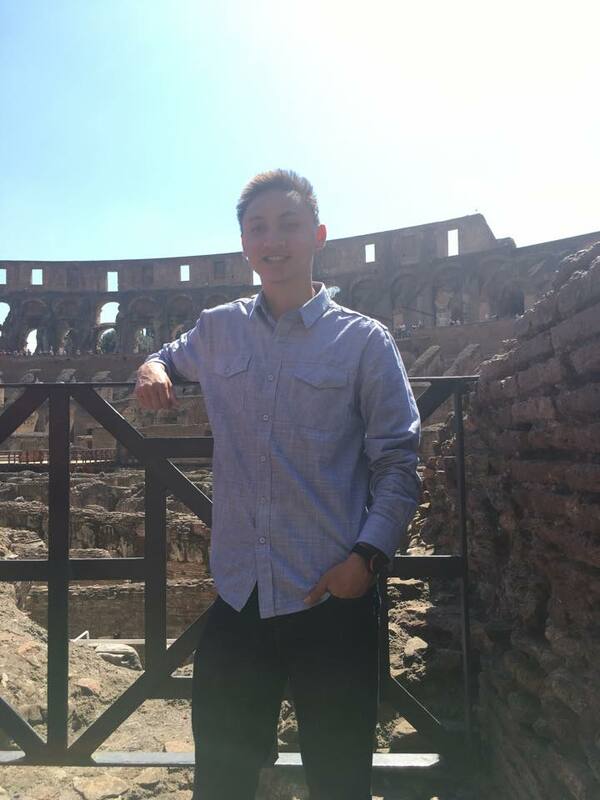 The aura of the Colosseum was incredible, yet there was something mysterious about seeing all of these historical landmarks. A city passed its prime leaves you to wonder about all of the different stories and accomplishments it once proudly hosted. After the Colosseum, I walked back with Brianna towards the apartment. The Italian Gelato we had on the way back was phenomenal. 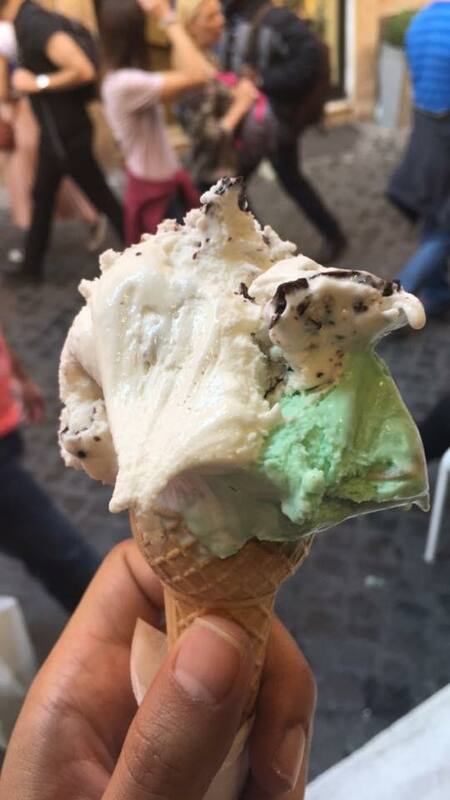 After a week of living off of chicken with rice and peanut butter sandwiches, it was nice to enjoy some mint chip gelato under the warm Italian sun. I was shocked this was only my first time trying real Italian gelato during my time in Rome. I thought to myself that so far this was my favorite city I’ve traveled to while abroad. At night we met up again with our Aunt and Uncle’s friends. They gave me tips about my upcoming trips to Paris and Barcelona. They both run a travel based business in Europe, so they know the best places to visit and how to get there. Ironically, my last full day in Rome would be my first time eating authentic Italian pasta. The portion size was small (of course, from an American’s POV) but it was certainly rich with a variety of different Italian sauces. I spoke with my Aunt and Brianna about my recent travels around Spain. We talked about our Summer plans and whether or not I’d return back to California for a little. While we spoke it also start to really hit me that I only have one year left in college. My Aunt told me not to worry about it and to enjoy dinner. I woke up early to help my Aunt, Uncle, Grandma, and Brianna pack up all of their luggage into the car before they head back to California. I would spend the rest of this day by myself, and I had plans to check out Vatican City in the early afternoon. 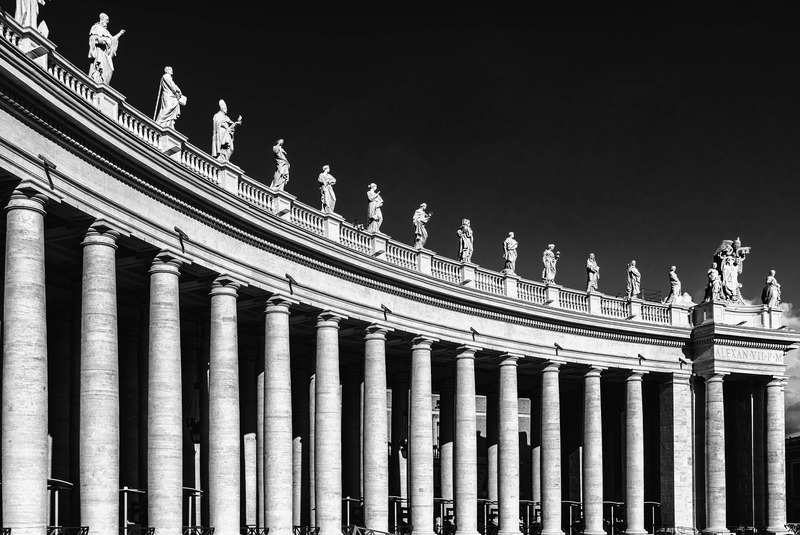 The Vatican is on the top of nearly every list for what to do in Rome. I knew it’d be crowded. I booked my online reservations last night to skip the line for the Vatican. Funny enough, as I made my way over to Vatican city I used my Spanish to ask for directions. Italian and Spanish are both Romance languages so it’s sometimes easy to translate their key root words. I found the Vatican and I thanked myself for booking those online reservations to skip the actual line. Even though the tickets were slightly more expensive, it was the right move to take in the end. They’re obviously angry because they’ve dealt with all of these tourists disobeying the rules. The guards were right in front of me telling others to put their phone down as I snagged a picture of the Michaelangelo masterpiece. At the end of the Sistine Chapel is the exit to see the rest of Vatican City. Of course, this place is crowded with people trying to scam tourists with “free entries” to the museum. 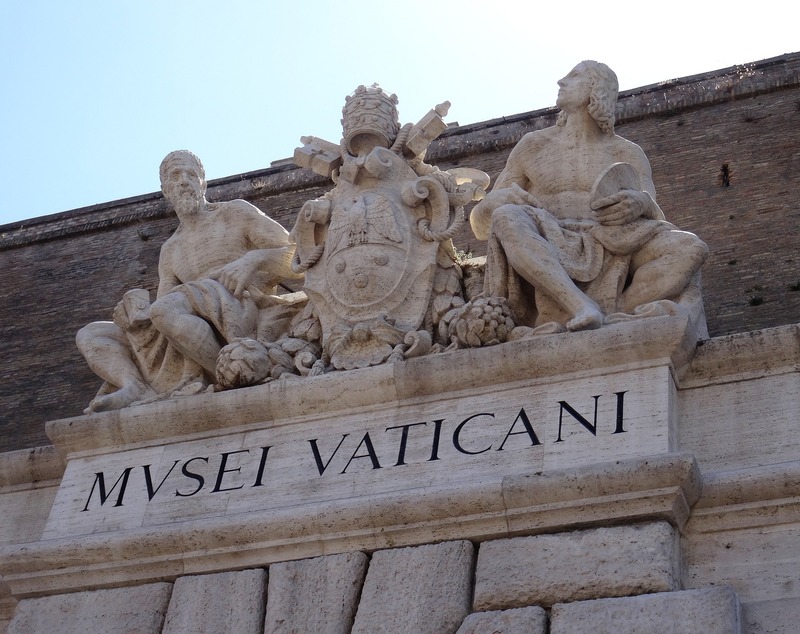 Even with an immense amount of activites for what to do in Rome, you certainly shouldn’t pass up your opportunity to explore Vatican City. I check my watch and notice it’s time to head back to the airport for my flight back to Madrid. The cab driver I hailed drove around incredible gardens and parks that I, unfortunately, didn’t have time to explore. I know I missed plenty of other options for what to do in Rome in my time here, but I won’t be gone forever. I’ll be back here one day. I threw the coin over my shoulder…that’s how this thing works right? !